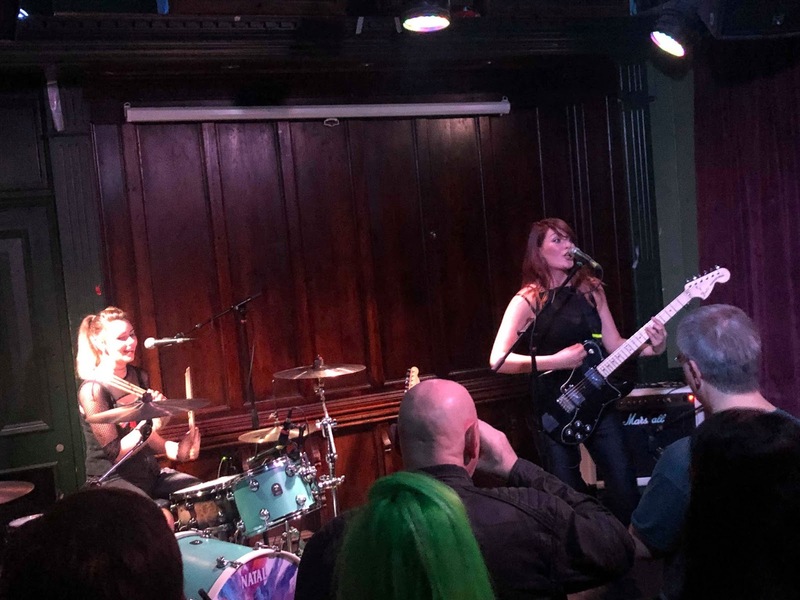 Rews made a triumphant return to Manchester for a sold-out show at the intimate Castle Hotel on the opening night of their UK tour. With a set featuring tracks from last year's album Pyro as well as a number of new ones, they won the hearts and minds of the packed crowd in sauna-like conditions. 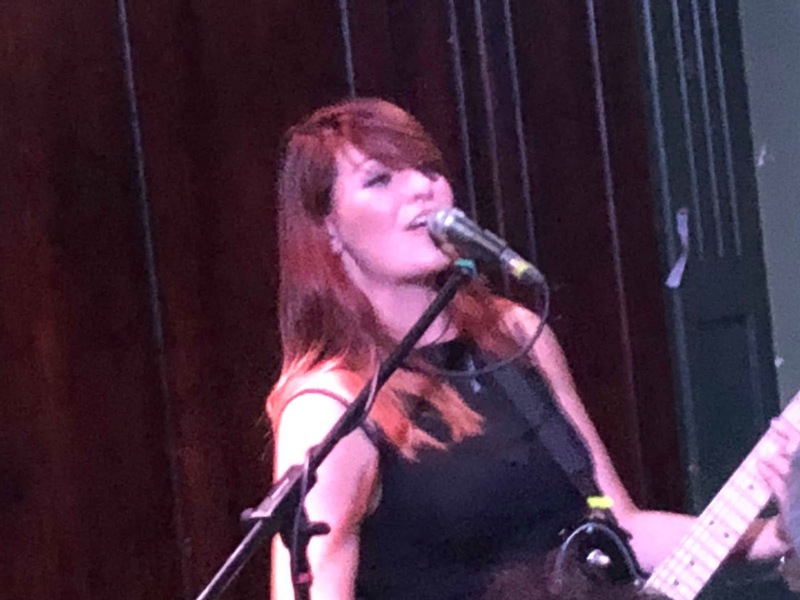 There's a magnificent energy to Rews on stage, a love of playing live that's so infectious that it's impossible not to be drawn into what they're doing. 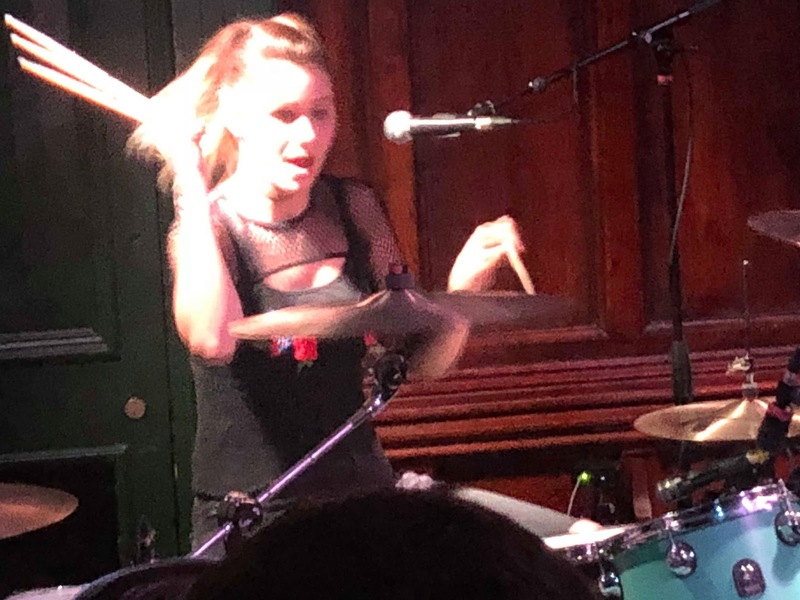 Collette's drumming is so powerful, exciting and rhythmic, arms a blur that you can't follow such is the speed at which her arms move, but it drives the songs along at a breakneck pace and she somehow manages to add backing vocals whilst looking like she's having the time of her life. Shauna has a perma-grin on her face, rocking like she's living out her teenage dreams and throwing rock star poses and demanding (succesfully, like we have no choice in the matter) that we clap along and dance along whilst delivering vocals in fitting with the powerful nature of these songs. Last year they played to this room, half-full, and that energy they had then now feels like it's been focused by their endless touring and support slots at places like the Apollo a mile or so away, so they're incredibly tight without ever losing the raw kinetic energy of the songs. Recent single Can You Feel It? appears early in the set, but they've got a set of songs strong enough to allow them to do that. Miss You In The Dark propels itself along under the weight of its own momentum, whilst their cover of 4 Non Blondes' What's Up manages to not feel out of place in the set due to the way they treat it, making it like one of their own. Pyro was an impressive debut but the likes of Get There Someday in particular show that they're not resting on their laurels with new material. 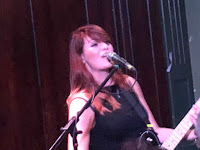 It has the trademark Rews sound, but feels like a progression, threatening to knock out anyone or anything that gets in its way and the crowd response gets louder and louder as the set progresses and the drips of condensation from the ceiling get more frequent and make it feel like we're outside in the rain. Shake Shake and Shine conclude the set, with an invitation from Shauna to dance along and lose ourselves in the music the way they have. At the end of the set there's a huge queue for merchandise, longer than we've seen at any show in this room before, and that's testament to the way Rews have utterly disarmed the Manchester crowd with their charm and their love of being up there on stage and then blown them away with the performance and the songs. It felt like a really special show and that Rews should be playing much bigger rooms than this, and hopefully this tour will set them up for that in 2019. Rews played Rip Up My Heart, Can You Feel It?, Death Yawn, Violins, Let It Roll, Miss You In The Dark, Muse, What's Up, Your Tears, Running Against The Wall, Get There Someday, Shake Shake and Shine. Their tour continues at London Sebright Arms (November 14), Sheffield Record Junkee (15) and Birmingham The Flapper (17).